Sunder Kaur’s introduction to a yogic life began in the late 90’s when she started a regular meditation practice. 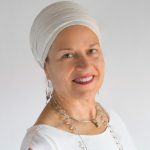 A video introduced her to the teachings of Yogi Bhajan and she has pursued her passion for them ever since. With her degree in Pharmacy, Sunder is able to incorporate a scientific understanding of the body into her practice and teaching. Sunder is a Level 2 KRI-Certified Practitioner and a Lead Trainer in the Aquarian Training Academy E-RYT-500. She is a founder of Yoga Village, and is creating her vision for a yoga studio that is also a community center where spirit can grow. Sunder lives in Pinellas County with her two sons, George and Greg.